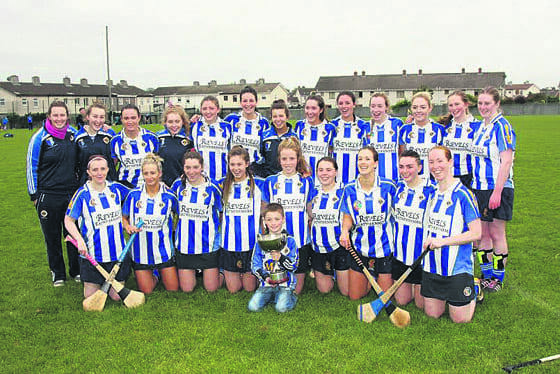 BALLYBODEN St Enda’s were held scoreless for the entire second half, not even recording a wide, but still managed to hold off Kilmacud Crokes to claim the Dublin Senior 3 camogie championship title. Boden had done the damage in the opening 10 minutes when they struck 3-1 and in the closing seven minutes of the first half when they played superbly to score four points without reply. Kilmacud Crokes were hoping to add the Senior 3 title to the Senior 4 crown won last year but weaknesses close to goal proved costly in that opening spell. In the third minute, Claire Kirwan goaled only for Lynn Lambe to cancel out that effort with a goal of her own for Crokes 30 second later. An Aisling O’Leary point restored Boden’s lead before Kirwan capitalised on defensive uncertainty to net for the second time in the fifth minute. Crokes, despite conceding the green flags, were playing well and the likes of Rachel Noctor, Sorcha Meagher, Siofra Walsh and Michelle O’Hurley looked dangerous. But, in the ninth minute, Orla Tevlin got through for yet another Ballyboden goal and the tally reached four in the 16th minute when a great sideline by Aisling O’Leary was tapped home from close range by midfielder Aoife Tobin. Crokes enjoyed a good spell between the 13th and 20th minutes when points by O’Hurley, Walsh and Meagher gave indications of their ability but the closing five minutes of the half were Boden’s. A Danielle White 45 started the spell and this was followed by points by Tobin, Tevlin following a mighty 40m run and pass by full back Grace Walsh and then another superb point by White to leave Ballyboden 4-5 to 1-5 in front at the break. Boden had read the Crokes threat and for the second half employed Tobin as a sweeper and very effective seventh defender. While Crokes capitalised in the middle of the field with Walsh and Aisling Whitely more prominent, they could not break through for goals. Emer O’Leary was very alert between the posts and in front of her Walsh was immense with three spectacular catches among the reasons she was named player of the match. Crokes kept pressing and were rewarded with points from Anneka Kilroy, Meagher, the hard working Aine Gilheany and O’Hurley. But that four points sally before half-time by Boden proved to be the final winning margin. Ballyboden St Enda’s will now represent Dublin in the AIB Leinster Intermediate Club semi final against Tullaroan of Kilkenny in Tullaroan.